The Statewide Emergency Communications Board (SECB) governs the ARMER system, the NextGeneration 9-1-1 system, interoperabiliity, Integrated Public Alert and Warning System, and interoperable data, per Minnesota Statutes Chapter 403. The SECB is supported by the Minnesota Department of Public Safety Division of Emergency Communication Networks (ECN), which has the day-to-day responsibilities to administer those program areas. The SECB has responsibility to set statewide standards for the administration and use of the ARMER system. A complete listing of all ARMER Statewide Standards is available on the SECB's website. 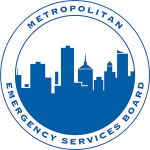 The SECB has approved best practices guides, which were developed by and for Minnesota's first responders. These guides are found on ECN's training web page.